Contrary to popular belief, healthy food is not restricted to carrots and cardboard-tasting crackers. We have come a long way in the past few decades to banish the stereotype that food that’s good for you tastes bad, and these days there are plenty of Cape Town restaurants that create dishes that are both healthy and delicious. So what does a healthy menu consist of? For one, culinary offerings that are high in fibre and rich in nutrients and minerals. 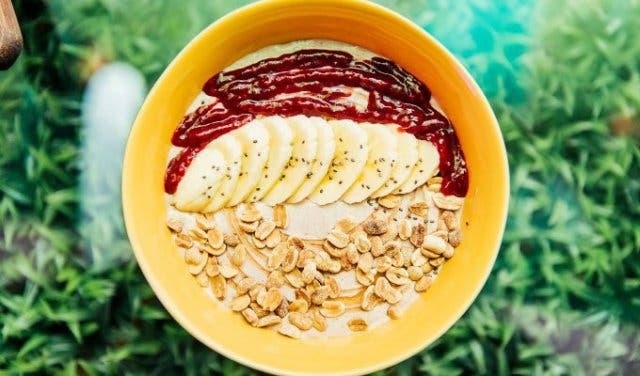 Healthy eateries are also those that often have natural, organic and whole-food products that are unprocessed, free from hormones, sweeteners and food colourings on their menus. Furthermore, many also utilise locally sourced ingredients and that aim to accommodate those with food allergies or dietary constraints, such as lactose and nut intolerances. Pink, green, neon signs, dinosaurs, a stage and events too. There’s nothing not to love about The Raptor Room. 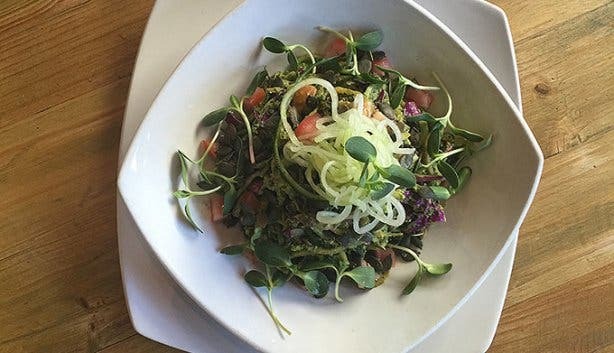 This is an eatery that caters to carnivores, vegetarians, vegans, the health conscious, and even those who forsake gluten, with all items clearly marked on the menu. Learn more about The Raptor Room. Hours: Mon–Fri: 10am–11pm. Sat: 10am–5pm. Sun: 10am–3pm. Rcaffe is a coffee shop and restaurant serving a variety of delicious fresh food with many healthy and vegetarian options. The fact that they have been operating since 2004 stands as a testament to their winning menu and coffee. Find out more about RCaffe. This is a plant-based and gluten-free dessert cafe in Gardens that uses various ingredients to make simple nostalgic treats that are good for you and for the planet. What's on the menu? The 'Fritfaffle' is a cheesy courgette base topped with spring onions and served with a side of avo, tomatoes and beetroot hummus. The Golden Girl is a spicy turmeric and ginger base topped with vegan chocolate chips, chopped nuts and drizzled with delicious sticky sweetness served with a side of coconut cream. Waffles come in half portions and full sized. The Werf Restaurant draws inspiration from the “Cape Table” and offers a range of authentic culinary experiences that encourage sharing. Boschendal’s passion is sustainable growth and where possible ingredients are sourced from their Werf Food Garden or other farms and small producers in the surrounding area. With a seasonal menu that includes sustainably sourced fish, garden leeks, slow-roasted lamb shoulder and beef tallow plancha potatoes, you’ll want to have a farm-style meal at The Werf Restaurant at Boschendal Wine Farm. 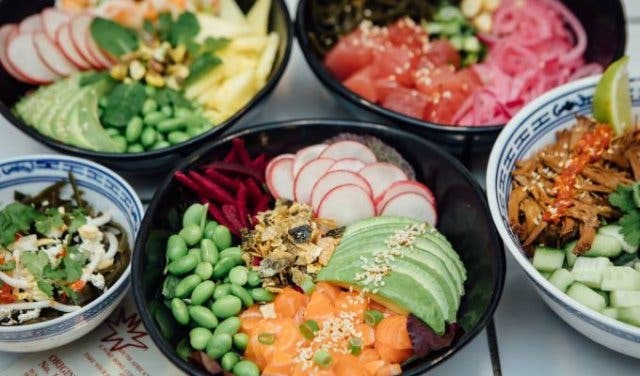 Poke is the Hawaiian verb for "section" or "to slice or cut". Poke bowls incorporate cubed bits of protein, from tuna to tofu, along with a variety of salad ingredients and sauces, allowing you to design your own bowl. Filled with wholesome goodness, this mouth-watering offering is fresh and healthy. Watch our video and read more about Hokey Poke. Located on Long Street, Masala Dosa provides our pretty city with a distinctive and flavoursome splash of South Indian cuisine. 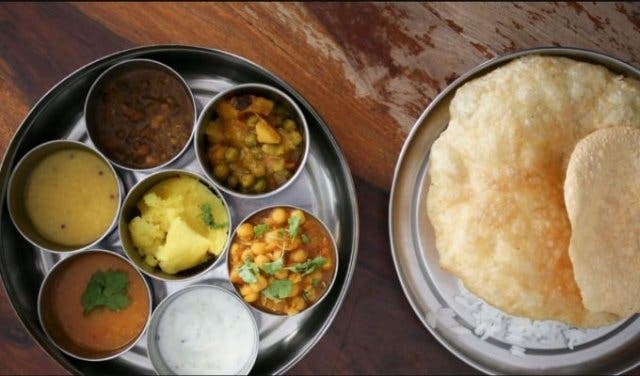 Technically, Masala Dosa is actually a popular Southern Indian breakfast dish consisting of a rice and lentil pancake (or crêpe) traditionally served with a potato curry, coconut chutney and a spicy vegetable and lentil broth, namely sambar. At this hotspot, guests will find an array of delicious and unique dishes, including the eatery’s namesake dish – a definite must-try. PS. The pancake is gluten-free! WildSprout Wholefoods on Loop Street in Cape Town’s inner-city gives you a fresh perspective on healthy food. 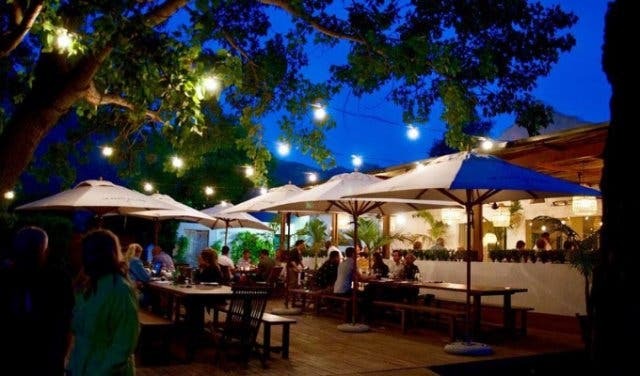 The restaurant is rooted in the philosophy of sustainability and conscious consumption, meaning that their fare is 100% organic, right down to the recycled juice pulp that is used as compost on the Boplaas family farm in Wellington, where their produce is grown. WildSprout offers a variety of food that’s free from gluten, wheat, dairy, meat and refined sugar, but still flavourful. Read more about Wild Sprout. When it comes to healthy food at affordable prices, the V&A Food Market located inside the historical Old Power Station building is hard to beat. With 42 vendors and cutting-edge street food concepts like non-dairy yoghurt smoothies, the market offers a healthy, fine dining experience for a fraction of the cost and is open seven days a week. Food prices start at around R30 for a fresh salmon Vietnamese rice paper roll, R40 for a sushi dish and R45 for a Tom Yam soup. There is also a juice bar and yoghurt bar that makes smoothies, bowls and even a non-dairy coconut yoghurt options, perfect for vegans. The venue itself is a treat. The Old Power Station, with its original steel and wood finishes and double volume space, creates a lively atmosphere as unique as it is spacious. The market is open between 10am to 8pm Sundays to Thursdays and 10am to 9pm on Fridays and Sundays (November to April) and 10am to 7pm Sundays to Thursdays and 10am to 8pm on Fridays and Sundays (May to October), with free live music every Saturday, Sunday and public holidays from 1pm to 4pm. In the mood for something naughty, nice and guilt-free (without the extra calories)? 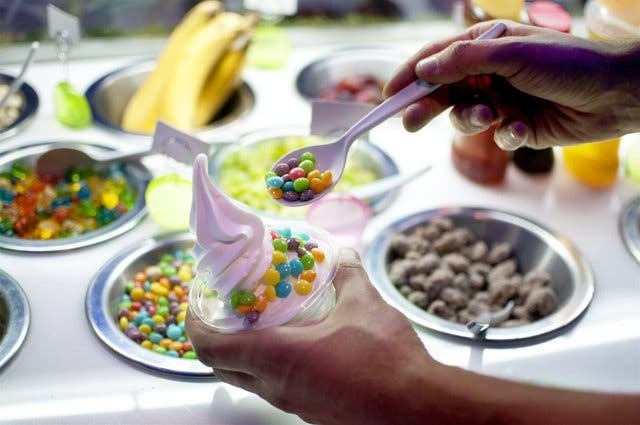 The Myog frozen yoghurt store in Kloof Street 's Lifestyle Centre – which has become somewhat of an institution since its opening - dishes up delicious frozen yoghurt that is 98% fat-free. With a vibrant and funky interior, the store’s décor is as fresh as its locally-sourced ingredients (all our brought in from within the Western Cape). Not to mention, the delicious dessert is high in protein and calcium, and has both live and probiotic cultures. Healthy salads and vegetarian dishes abound at this Middle Eastern-inspired deli. The Cape Town city centre eatery offers an extensive menu that will even satisfy the cravings of the carnivorously inclined. Think falafel balls, dolmades, Lebanese pastries and leek and cheese borekas with stuffed cabbage rolls. All of the food is fresh and prepared daily on the premises by the cooks. They also cater to individuals with basic food allergies and intolerances, such as lactose intolerance and Gluten intolerance. You can also purchase some goodies to take back home for a nice respite from the usual supermarket ready-to-eat alternatives. 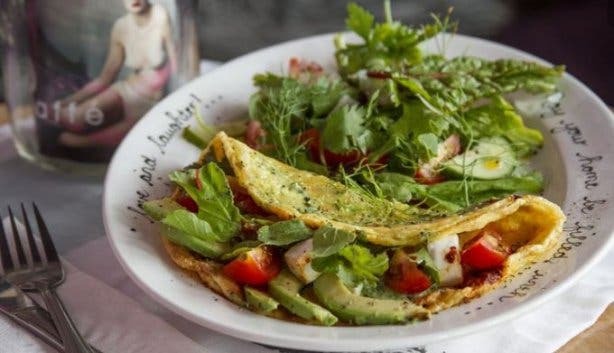 The Nook Eatery in Stellenbosch offers a breakfast menu fit for an Olympian. Choose from an extensive list of yummy smoothies, fruits with yoghurt, homemade granola and scrambled eggs. The lunchtime buffet offers an equally healthy assortment of fresh salads and homemade sandwiches and soups. The kitchen team at the Nook aims to use local and seasonal produce that is preservative free, and they even stock the vegetarian white and red wines by MANvintners. If you have any food intolerances, just ask the chef and he will try and accommodate you as much as possible. Read more about Nook Eatery. 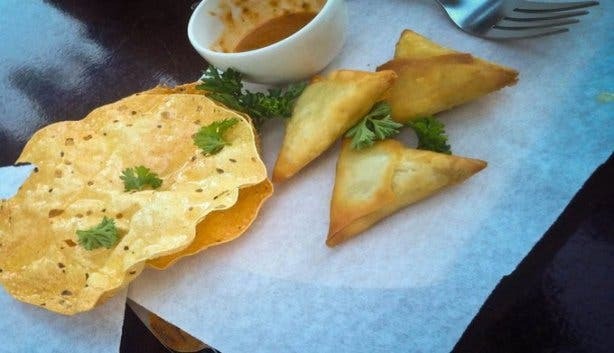 With an extensive menu that includes vegetarian and vegan options, Addis in the Cape – an Ethiopian restaurant in Cape Town – is a fantastic place to share a memorable, yet healthy meal. Ethiopian cuisine is famous for its rich aromas and generous use of herbs and spices; though, it’s definitely not for the faint at heart. Addis’s flavourful stews are served in a pancake-like sourdough base called Injera, which is gluten-free, fat-free and which is meant to be shared in a warm and communal manner. All the food on the menu is Halaal-friendly. 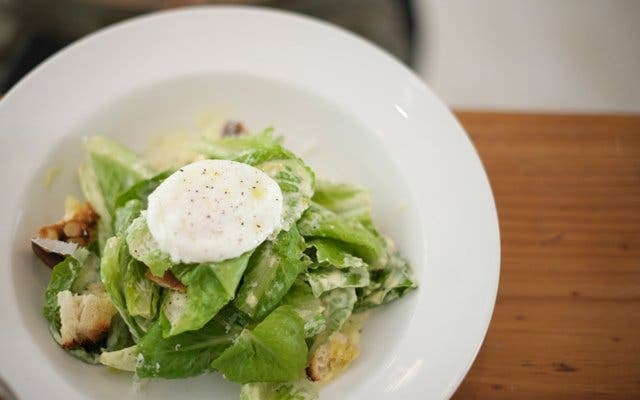 The food produced at this Woodstock eatery is contemporary and fresh, and as much as possible, is made only from seasonal and local produce. 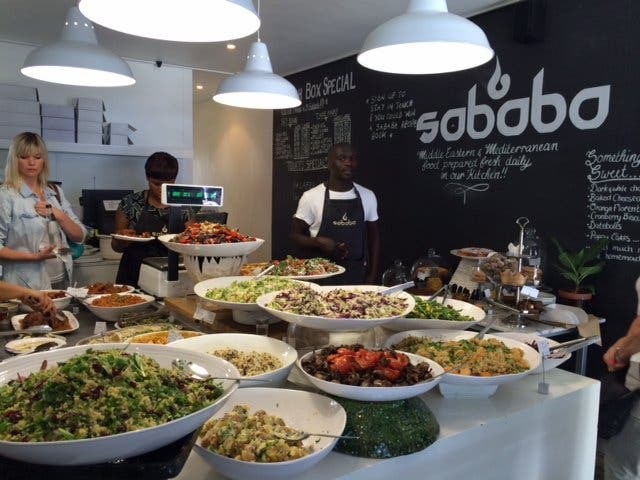 The dishes are predominantly Mediterranean and Oriental in flavour, but they also flaunt a modern South African twist. The Kitchen is particularly well-known for its inventive salads - there are 20 to choose from on any given day - such as the lentil, black rice and coriander salad. Thus, people with food intolerances are sure to find something to suit their diet. Learn more about The Kitchen. 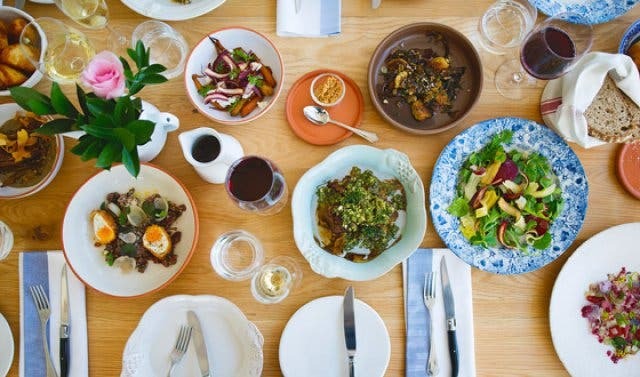 Situated in the leafy Constantia Valley, La Belle offers an array of light yet satisfying meals – from fresh-from-the-oven-bakes to organic salads made with herbs and vegetables from the garden. The deli caters for individuals with a gluten-intolerance, and it makes use of the best local and homemade treats, including condiments and preserves. Simply choose a dish from the deli for takeaway if you prefer to enjoy your fare at home rather than at the restaurant itself. Try this delightful café for tasty food, freshly squeezed juices and home-grown organic produce. Know Thy Farmer grows all of its own vegetables organically, much of which is then transported to the nearby suburbs to be sold by horse and cart. The guilt-free eats can be enjoyed in an equally healthy natural setting (there’s a lovely on-site garden featuring a tree house on which the kids can have hours of fun). 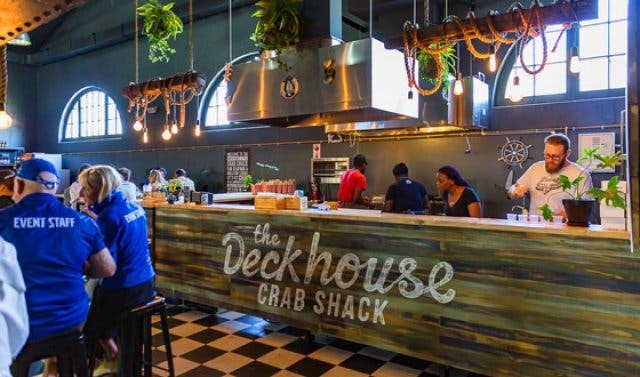 Founded by passionate foodie and MasterChef SA finalist Shannon Smuts, this colourful eatery in Cape Town’s CBD is all about dishing up the finest and freshest of eats at very affordable prices. 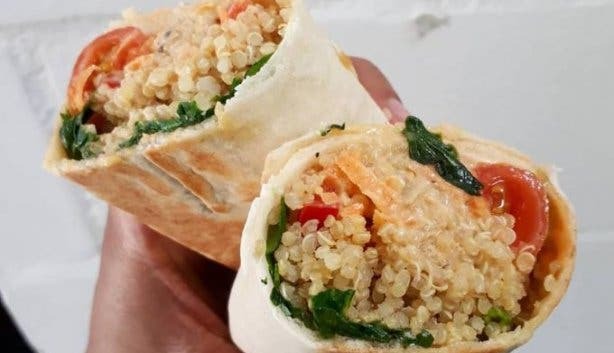 One of Pure Good’s main aims is to appeal to busy workers in search of healthy, well-priced breakfast and lunch options, and the menu boasts items like fruit salads, wraps, sarmies and soups. On the drinks side, there’s Bootlegger coffee, organic herbal tea, smoothies and raw juices on offer. Moreover, Pure Good works with sustainable farm Fountain of Hope in an effort to make nutritious, ethically produced fare more accessible to people, so you can munch comfortably knowing that not only have you made a healthy food choice, but you’ve contributed to a worthy cause too. Reas more about Pure Good. 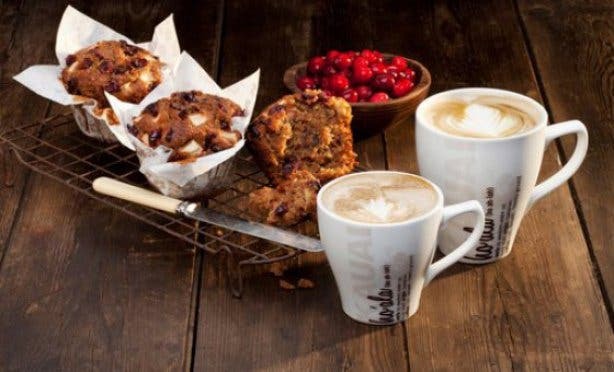 The WellCafé (situated in most Wellness Warehouse stores) offers smoothies, sandwiches, salads and other healthy snacks. The café also caters for a wide range of food intolerances in its menu selection, such as wheat and dairy intolerances. Furthermore, if you feel like taking some of these delicious and nutritious snacks back home, the food market stocks health foods, organic foods and foods that are low in saturated fat, salt and sugar. The sister chain to Kauai, Osumo and its menu offering claims the same health benefits as it’s more well-known brother. 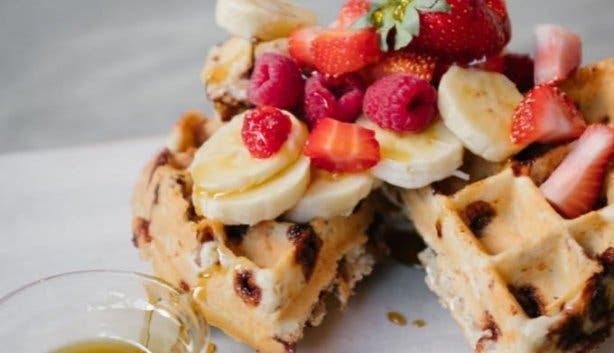 They try their best to only use free-range produce, and they will go the extra mile to cater for individuals with lactose, dairy, wheat and sugar intolerances. Also look out for their all-female staff - healthy girl power at its best. Kauai is, arguably, the institution most well-recognised by South Africans for convenient food options that are healthy, fresh and nutritious. The food chain uses the most wholesome ingredients, and caters for a wide variety of dietary preferences. Not to mention, the eateries can readily make substitutions for those with food intolerances: If you are lactose intolerant, Kauai’s smoothies can be made with GM free rice milk, and all of the mayonnaise used in their sandwiches and salads is egg-free for vegetarians and vegans. Lastly, all menu offerings are free from trans fats, MSG and tartazine; the breads are wheat-free and the wraps are gluten-free. Most of us are aware of the immense health benefits related to eating sushi. For those of you still in the dark, fish is a lean source of low-calorie, high-quality protein. It is also low in saturated fats and cholesterol, making it a heart-healthy food choice. The thin sheets of seaweed that are wrapped around maki and hand rolls is high in iodine, magnesium, calcium, iron and folic acids, essential for proper hormone functioning. See our list of the best sushi restaurants in Cape Town. PLUS: Discover farm-fresh cuisine and an awesome atmosphere at the place where the winelands' famed chefs eat on their day off. As well as live music and dining every Friday night at La Paris Bistro in Franschhoek. A new inclusive yoga studio, Holding Space reflective of local society at the black-owned yoga studio in Cape Town. Whether a first date or a 50th anniversary, we have plenty of fun date ideas. Take it easy this Sunday with The Kraal’s relaxed Sunday Lunch special. There’s a new plant-based eatery in town, Mary-Ann’s in Mouille Point. Get fresh, healthy soups as online favourite opens up their very first eatery, JarBar. Take a look at our incredible overview of veggie restaurants in Cape Town. Find out how to get delicious vegan food with no hassle at home thanks to The Hungry Herbivore Takeaway. Read more about Ash Heeger's new Riverine Rabbit Restaurant. Incredible Western Cape safari, organic food and family farm accommodation at Njalo-Njalo. 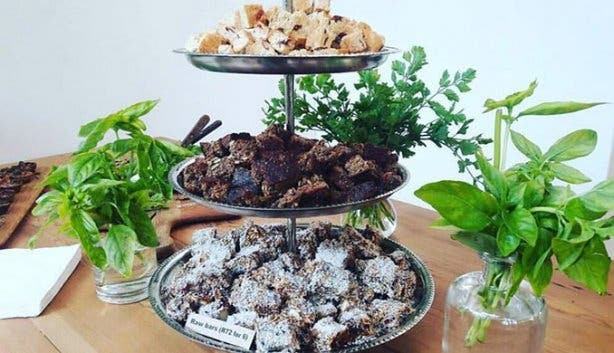 The second branch of Lekker Vegan is opening in Kloof Street. Healthy lunch? Check new concept warm bowls and salad bar TOSSD in Gardens.